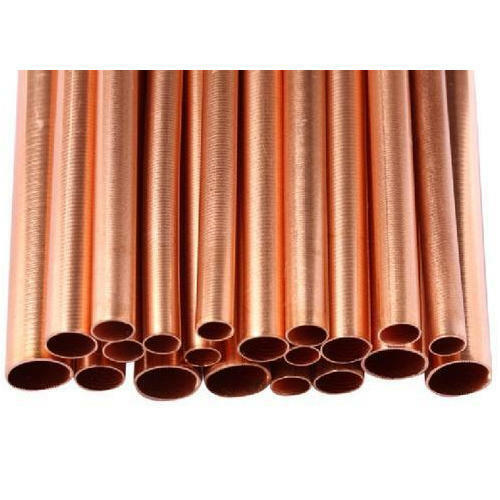 We have emerged in offering our valuable customers a wide array of Copper Water Tubes that are manufactured using modern techniques. These are broadly used in diverse commercial and domestic applications such as air conditioning, refrigeration, air pressure lines, heating, fluid distribution and plumbing. Founded in 2012, We, Pratham Steel Industries is a prominent Manufacturer, Wholesaler, Trader and Exporter indulged in presenting a wide-ranging diversity of Stainless Steel Products, Aluminium Products, Copper Products and much more. In compliance with the guidelines and quality values laid down by the corporate, all our offered products are delivered at the most economical rate within the recommended span of time. Together with this, we are offering these products as per the demands of our patrons. Our offered products are highly recommended among our patrons for their excellent strength, reasonable price and exceptional quality.